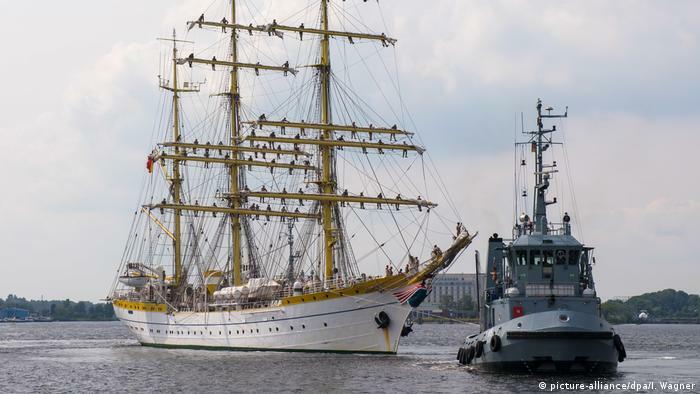 “Severe” mismanagement within the German navy and Defense Ministry led to massive cost overruns in restoration work on a naval training ship, according to a confidential report seen by Der Spiegel magazine. Repair estimates on the “Gorch Fock” were originally priced at under €10 million ($11.5 million), but skyrocketed to €135 million last year, the 39-page report from the National Audit Office found. The agency blamed military officers for inadequately examining the sailing ship’s deficiencies, ignoring information vital for the repair work and failing to fully inform Defense Minister Ursula von der Leyen. Work on the ship’s hull and renewal of its upper and middle deck began in 2015 without an economic feasibility study and without considering the case for constructing a new ship, auditors said. A Defense Ministry spokesman said the ministry would submit a formal reply to the National Audit Office’s accusations by April. The “Gorch Fock” is a modified replica of an older vessel and was built for West Germany’s navy in 1958. It was built after the loss of a larger training barque named “Pamir”, which capsized in an Atlantic hurricane off the Azores in 1957.